Puzzle: A quick easy puzzle for an afternoon. 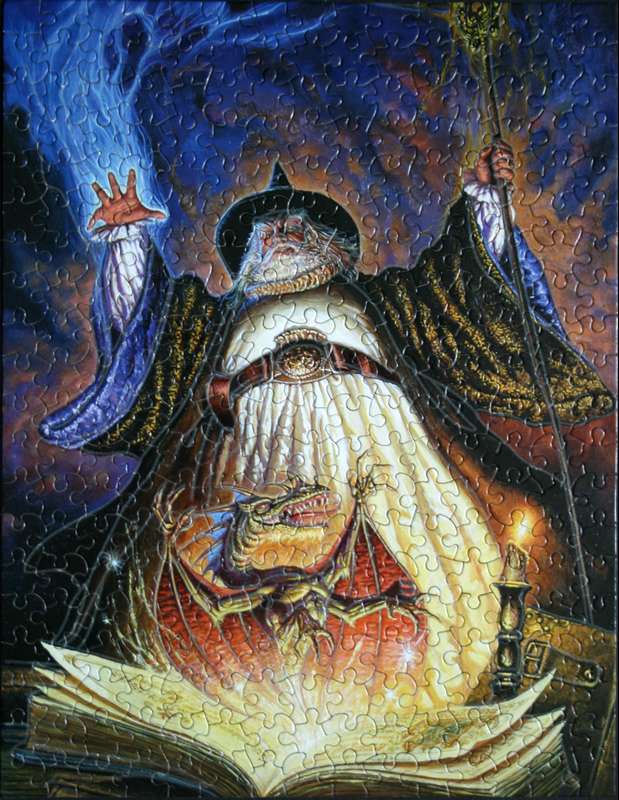 Some good areas to start are the border between yellow floor and dark puzzle bottom, bright white light, lights from the staff and the candles, yellow circle of the floor, striped green radial pattern behind the wizard, the wizard’s face and beard, fuschia cloak lining, dragon’s wings, and boy’s arms. The candle holders make for good vertical guides, and so does the engraved pillar on the left side. 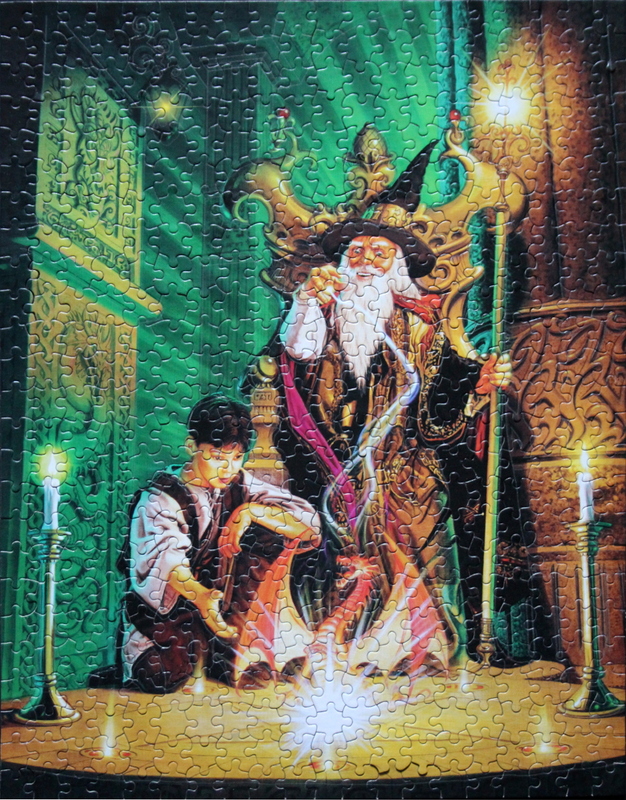 Wizard’s and boy’s clothing, the throne, and the wall can then complete the assembly. Puzzle: Tom Kidd – Success! 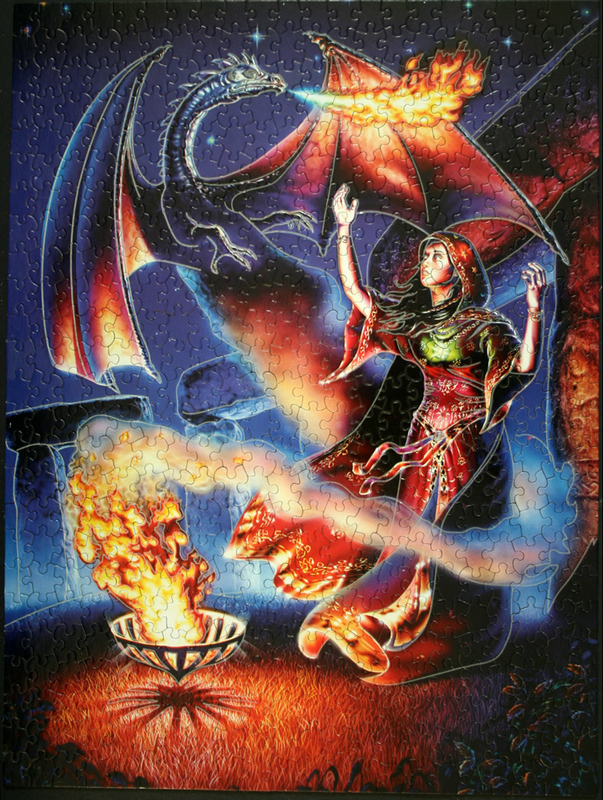 Puzzle: Easy enough to complete, with large distinct pieces and many differently-coloured regions, this puzzle is a good one when you crave a fairy tale visual. 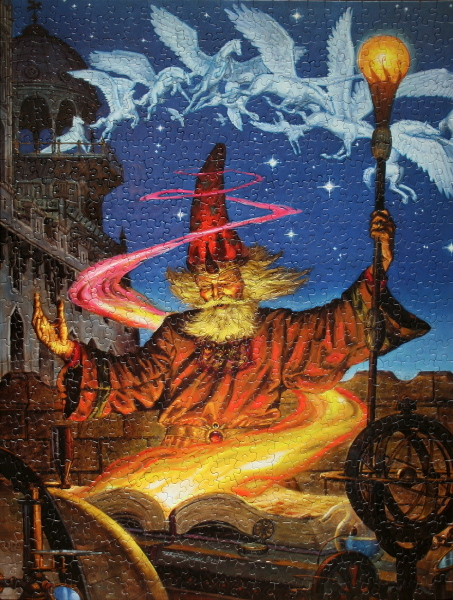 Many good places to start: the book and flame, the wizard’s face and hands, the glowing ball at the top of the staff, the red robe, the hat, the white horses, the castle, and the sky wall boundary. 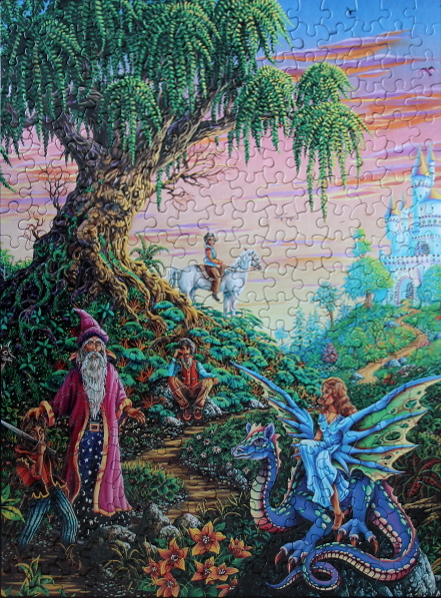 The book stand top and round parts in the bottom half of the puzzle can serve as guides. The rest of the pieces should fall into place. Notes: I no longer have the box for this puzzle. Any information about the puzzle would be much welcome. Puzzle: A pleasant fantasy puzzle to assemble. 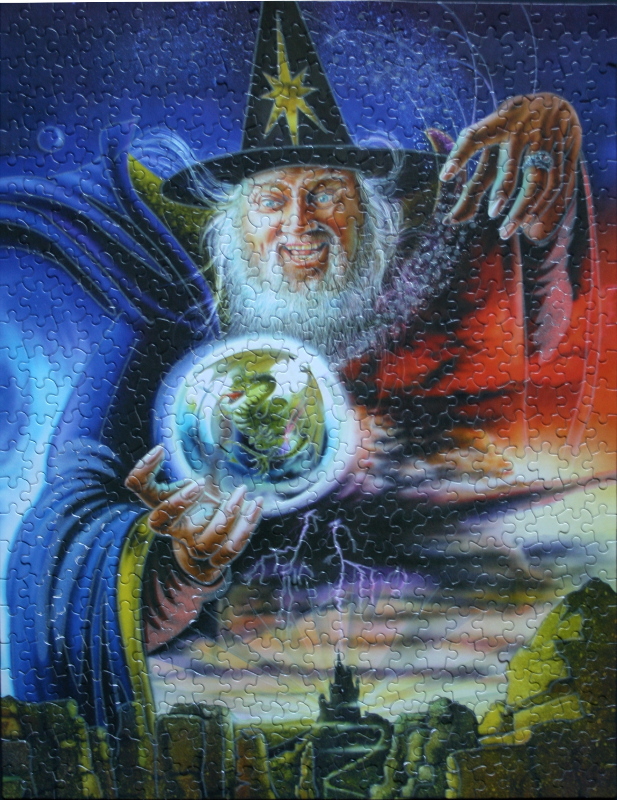 The best regions to start are the window, the wizard’s face, hair, and beard, the fingers, the flame and the candle, and the planets. 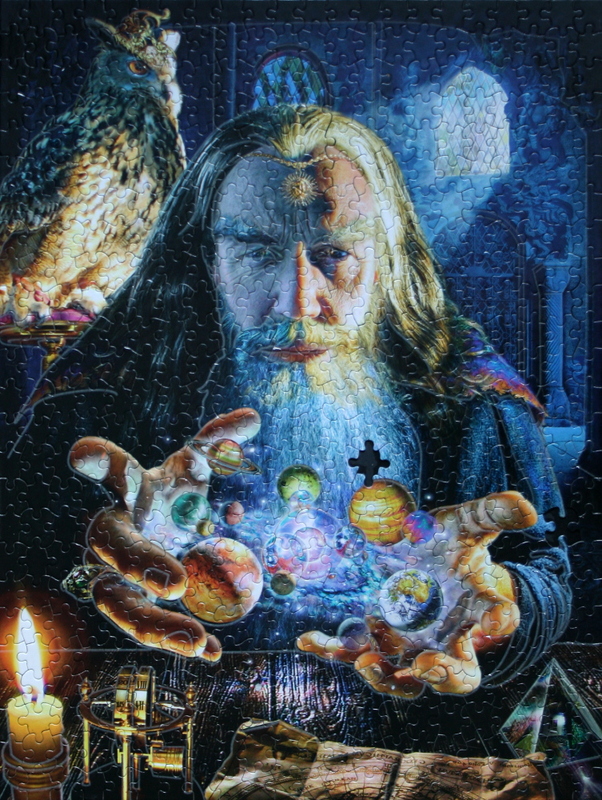 The owl, the parchment, and the rest of the puzzle can follow. A beautiful painting. 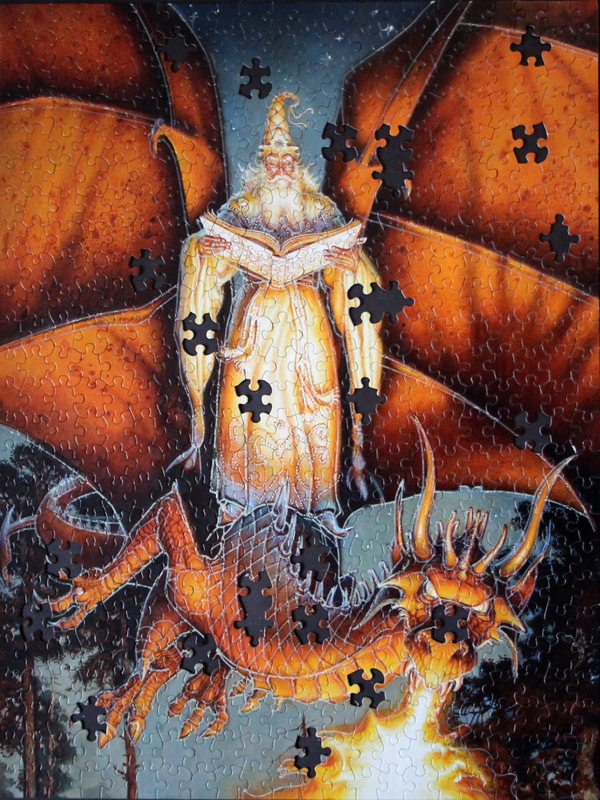 Puzzle: Simple puzzle to do, the pieces fit unambiguously. Some good regions to start are the wizard’s face and clothing, the horse, the border between the two terrains, the cacti, the fortress, and the spheres of light. The grass, the rocks, the mountain peak, and the orange sky can follow, leaving a few pieces to fill in. 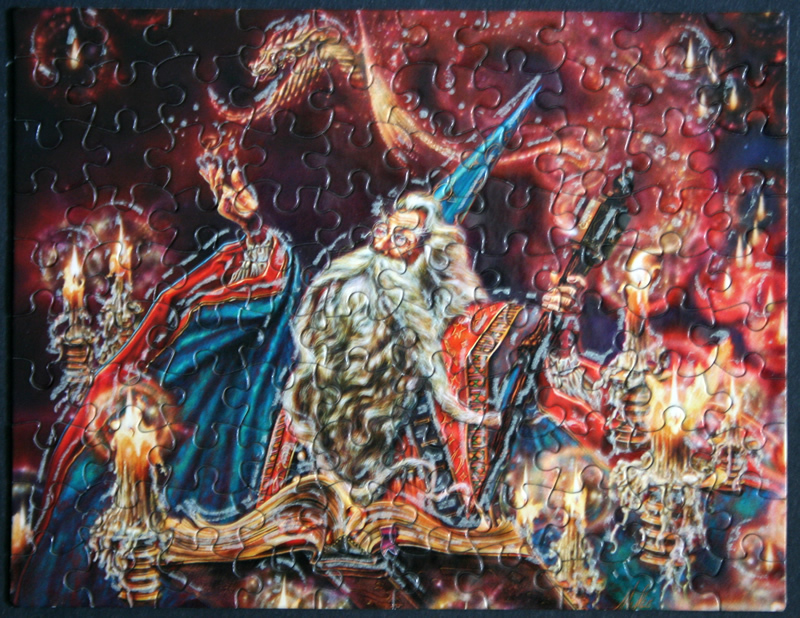 Puzzle: Simple puzzle to do: large distinct colour regions, large pieces and clear boundaries. 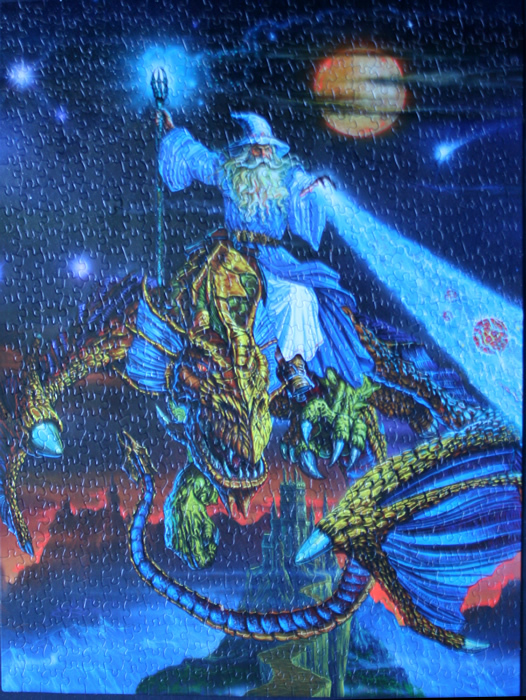 Wizard’s face and robe, blue light bordering it, gold embellishments on the robe, hat with the star, the dragon ball, the lightening, and the skyline are all easily assembled. The red sky region, the hands, and the landscape can follow, leaving the rest of the pieces to fall into place. Puzzle: This puzzle requires good lighting – the shades of the Wizard’s robe are subtle. Blue window, hair, face, hand, beard, smoke, pipe, curtains, and blue patch on the floor are all good places to start. 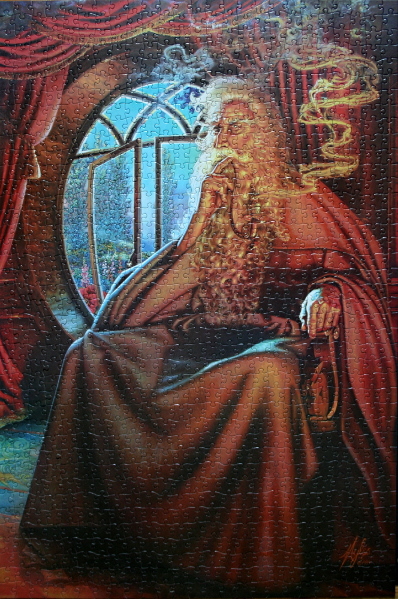 The remaining pieces can be split into reddish (for the cape), lighter brown for the robe on one side, black in shadows, and darker brown on the other side. With Sure-Lox pieces fitting together well, it’s a pleasure to do. Notes: The original of this picture is actually called Gandalf at Back End, and has more detail around the wizard. 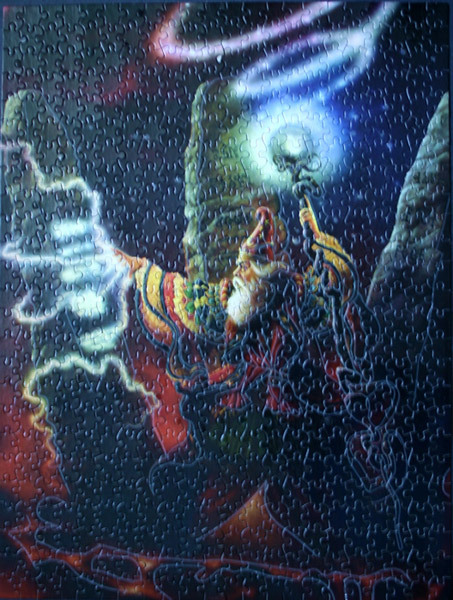 I wish the puzzle makers incorporated the entire painting. Puzzle: The dragon’s wings, flames, the firepit, and the woman’s robes are distinct enough to allow for these regions to be filled first. Dragon’s neck, the smoke, and the rest of the figure follow, leaving a few black, dark blue, and dark leafy regions to complete the puzzle. Overall, as with most 550+piece Ceaco puzzles, the differing shapes of large pieces makes this puzzle easy to complete. Dragon: A dragon is a mythological representation of a reptile. In antiquity, dragons were mostly envisaged as serpents, but since the Middle Ages, it has become common to depict them with legs, resembling a lizard. Notes: Evocation is the act of calling or summoning a spirit, demon, god or other supernatural agent, in the Western mystery tradition. 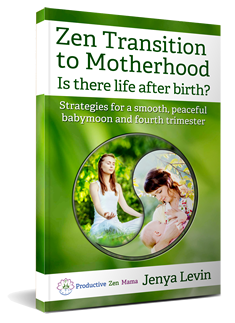 Comparable practices exist in many religions and magical traditions. Conjuration in traditional and most contemporary usage refers to a magical act of invoking spirits or using incantations or charms to cast magical spells. In the context of legerdemain, it may also refer to the performance of illusion or magic tricks for show. 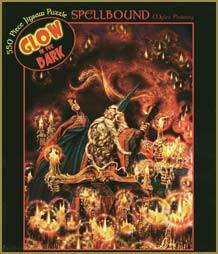 This article discusses mainly the original and primary usage, describing acts of a supernatural or paranormal nature. Notes: A dragon is a legendary creature, typically with serpentine or reptilian traits, that features in the myths of many cultures. 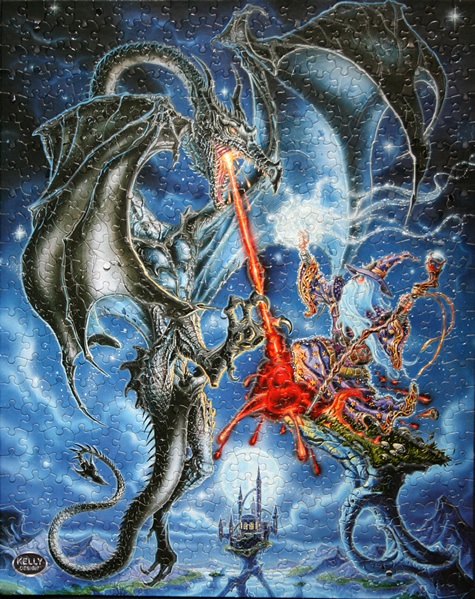 There are two distinct cultural traditions of dragons: the European dragon, derived from European folk traditions and which is ultimately related to Greek and Middle Eastern mythologies, and the Chinese dragon, with counterparts in Japan, Korea and other East Asian countries. 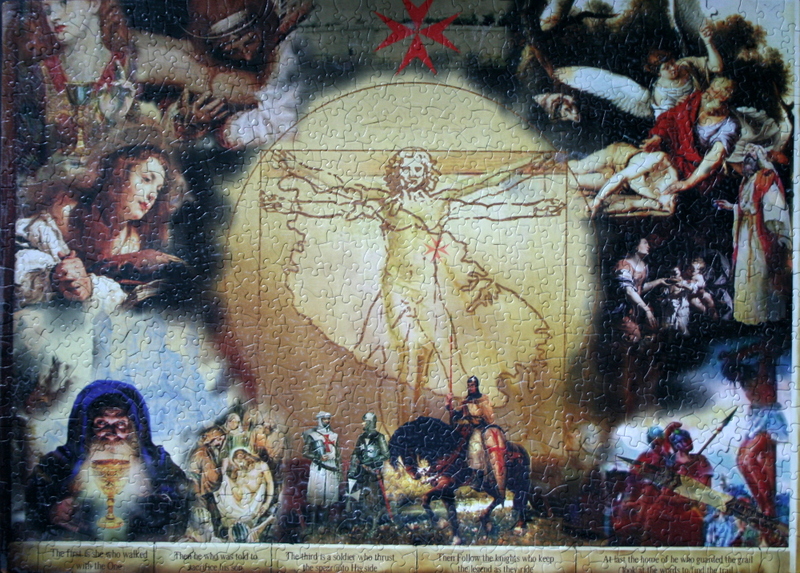 The two traditions may have evolved separately, but have influenced each to a certain extent, particularly with the cross-cultural contact of recent centuries. 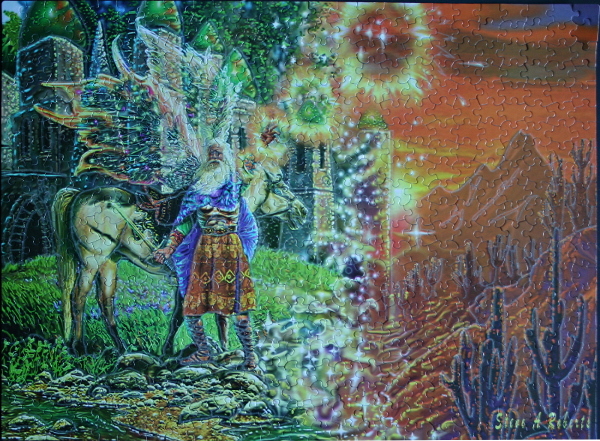 Puzzle: Twilight Tempest by Ed Beard Jr.